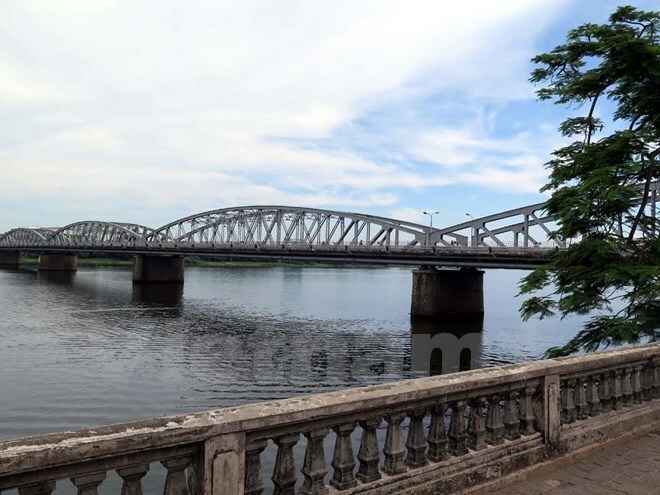 Thua Thien-Hue (VNA) – The central province of Thua Thien-Hue has invested 3.8 billion VND (167,162 USD) to repair the Trang Tien Bridge crossing Huong River, in Hue city. The work, conducted by An Giang Dragon company, is scheduled to be completed in October this year. Ten sight-seeing locations with a length of 7m and width of 1,25m each along the bridge will be restored. In the last time of reparation over 20 years ago, the locations were erased, affecting the architecture of the bridge.